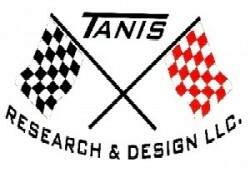 How To Replace Packings, Shaft & Rudder – Tanis Research and Design LLC. Conventional or traditional packing is found in two places on a typical ski boat to prevent water from entering the bilge through the rudder port, and prop shaft. They use a simple “crush” or “squeeze” type fitting that compresses a rope packing against the shaft. Flax packing material is the oldest, replaced by a better material called graphite packing, replaced by a better material called Teflon packing, and “Fiber” packing, and the newest ski boats use a different style altogether. The most current boats use a dripless seal system that requires a cooling hose attached to the engine. Our choice for value & simplicity is the Teflon packing. Rudder Ports: Traditional packing is only going to be found on the older boats pre-1980’s when rudder port suppliers went to o-ring and grease systems. If you have a grease fitting you will not have traditional packing, this includes many rudder ports that have a large nut on top that looks like a traditional packing style but again, if it has a grease fitting it does not use packing. If you have the old style begin by adjusting before replacing. Rudder Ports: This gets pretty tight below the fuel tank, but there will be a large brass nut right below the tiller arm, and a thin “Jam-nut” right below the large nut. Hold the large nut & loosen the jam nut, then tighten the large nut no more than a 1/2 turn, re-tighten the jam nut and test for leaking after rotating the steering several times. A proper adj. will yield a drop of water seeping out the top every 1-10 minutes, not critical for overheating. Prop Shafts: This is more critical than the rudder port as the shaft turns much faster than the rudder post. Proper adjustment will yield a slow drip from 1 drop per 1-2 seconds. This drip assures that the required amount of water will work into the packing and keep it cool, if no water makes it through you will burn the packing quickly & have to start over. White Plastic Shaft Stuffing Box Style: Very common on A/S boats, very east to adjust. These use (2) separate packing rings separated by a stainless washer (crush washer) and include plastic taper washers. 1) Remove long thin cotter pin locking the adj. nut to the housing. 2) Turn out the adj. nut & slide as far up the shaft as possible. 3) Loosen up the hose clamp attaching the body to the shaft log to allow movement of the body around the shaft as you pull the old packing out. 4) With a ice pick type tool with a hook on the end, reach into the body, pick the old packing and pull out, note the length of the packing when straightened out. 5) Reach in again & remove the stainless washer & slide up the shaft (this can be tricky to dig out) There should be a pair of white plastic “taper” washers, reinstall as they came out, then pick out the second packing. 7) Wrap the trimmed new packing around shaft with the seam at 9 o’clock, then slide the ss washer down against the new packing & push two into the housing. Repeat with the second packing only locate the seam at the 3 o’clock position. 8) Slide the Adj. nut down & carefully thread into the housing, thread until a slight resistance is felt as you begin to compress the new packing and STOP. Tighten the hose clamp between the housing and shaft log. Attach the cotter pin to lock in the position & lake test. A new packing must be broken in and allow to leak a steady stream for the first 5 minutes of operation. TIP: When fitting the new packing into the housing, sometimes it is a very tight fit, if you take the new packing, place it on a clean flat surface & lightly tap the length of the packing with a small hammer you can distort the shape from square to a slightly “flatter” profile. This will allow an easier fit, and when you tighten the adj. nut it will re-shape the packing again. 1) Loosen the brass jam nut, turn off the large brass top nut, dig out the old packing with a hook end pick tool. Stretch out on a table & match the length & cut the replacement the same. 2) The new packing should wrap around the shaft twice. 3) Feed the new packing into the housing cavity, carefully thread the large brass adj, nut and follow the adjustment procedures above for the Plastic stuffing box.